Enjoy a versatile pool surround that lets you safely access the pool, entertain friends and family, and kick your feet up on the sunlounge.Whether you’re building a pool from scratch or renovating, The Decksmith can step in at any time to design and install your pool decks in Sydney. You have the freedom to choose a range of in-ground and above-ground designs. All of which are customised to reflect your personal taste and blend in naturally with your existingoutdoor space. By choosing to work with The Decksmith, you not only get a team of licensed and insured builders on your side – but the satisfaction of knowing your pool deck will comply with council regulations and provide countless hours of fun in the sun. Timber decking is a versatile and cost-effective alternative to tiles, pavement and concrete. Your pool surround can be built with hardwood or composite materials. Each material is specially chosen for its superior strength, non-slip properties and resistance to water rot. 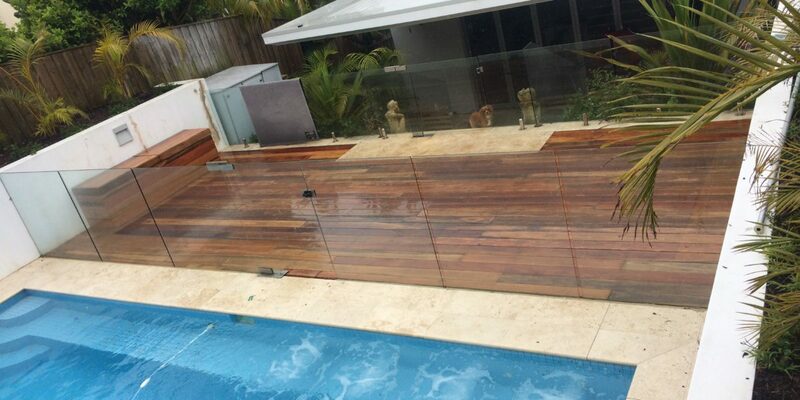 Your trusted Decksmith builder will advise you on the most suitable pool deck in Sydney to suit your property. With very little maintenance, we guarantee your composite pool decking will last for longer and will not warp, chip or crack – even when exposed to harsh UV rays and wet conditions. By taking into account every aspect of your pool – from elevation changes to amount of space and who will use the pool (i.e. children, adults and elderly) – the Sydney team will design a stylish and practical pool decktosuit your lifestyle and budget. Your pool is a major investment and we here at The Decksmith want you to get the maximum enjoyment from your new pool deck. From design and installation, you will be guided each step of the way and have the chance to fine-tune your design choices until you absolutely love the final outcome. Your project manager will be happy to answer your questions along the way and accommodate for any changes leading up to the final build. Discover the potential of your outdoor pool today! It doesn’t cost you a cent to get free advice from a trusted builder in your area. To claim your FREE quote, call 0468 486 290 or send your online enquiry.Our friendly team will be happy to arrange a suitable time for your inspection. For the finest pool decks in Sydney – look no further than The Decksmith.